Magnet drive designs have become the standard for applications requiring corrosion resistant pumps. Our magnet drive pump designs offer a wide range of capabilities from compact OEM configurations to our large chemical process pump series. 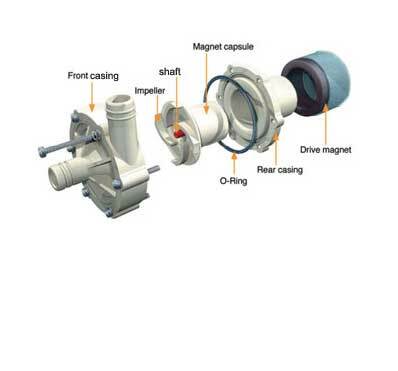 This broad range of magnet drive pump capabilities is unmatched in the industry making us the leader in magnet drive pump technology. We have state-of-the-art infrastructure, which serves as the backbone of our firm and allows us to fabricate best quality products. This unit is well equipped with sophisticated and technically advanced machinery that help us in smooth functioning and timely delivery. Some of the key machines installed in our unit are Auto Winding Machines, Motor Assembly Machine, CNC Operating Machine and Plant. Furthermore, these machines deliver high performance and ensure low maintenance. All the technical facilities are operated under the guidance of skilled and qualified professionals. Owing to all these attributes, we have achieved a noticeable position in the industry. Seal less Design- Total product Containment-ideal for hydrocarbons, petrochemicals, toxic, hot, cold, valuable products etc. 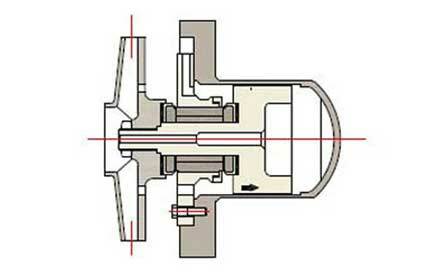 The pump is taken from the discharge side of the impeller and fed back through the inner magnet; the isolation shell and the prod act wetted bearings to both cool and lubricate the drive assembly. 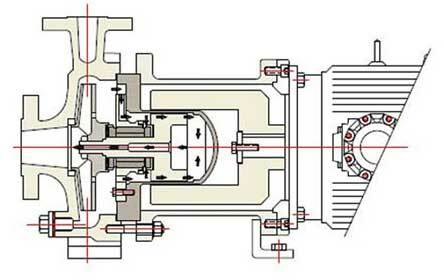 To successfully meet these requirements, the circulated pump age most remain in the liquid phase at all points within the magnetic coupling area. There has never been a more cost effective way to keep plant inventory at a manageable level than with a AERON replacement cartridge. 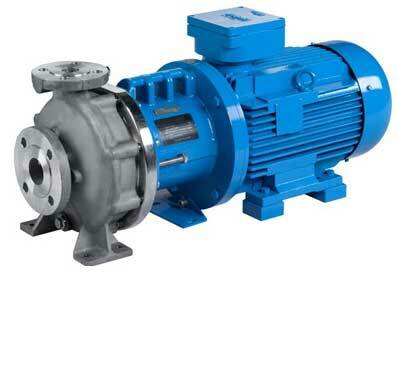 As a spare part it is both easy to install and more importantly completely complies with the original technical specifications of your pump. 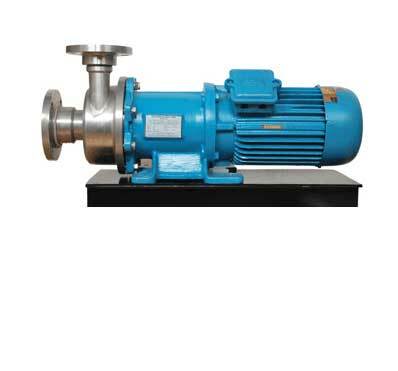 The complete rotating unit is replaced thus assuring the total operational integrity of the pump. Most cartridges can be replaced in less than one hour, keeping downtime and lost production to a minimum. Total eliminating outside contamination. Hence widely used biotech industries.